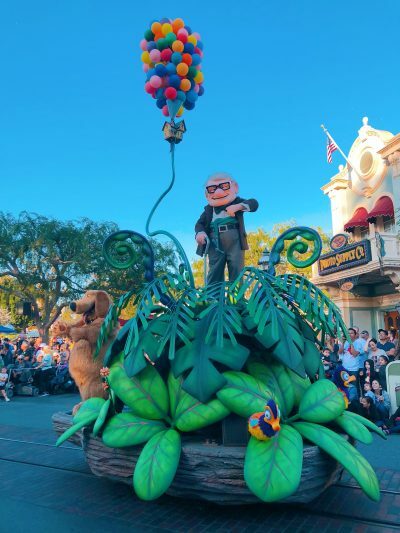 With PixarFest coming up on it’s final weeks (insert sad face here), we wanted to give you the information about the entertainment and activities STILL going on! It isn’t a festival without all of the fun events, so we have compiled a list of things to do or see while you are there! But hurry!!! 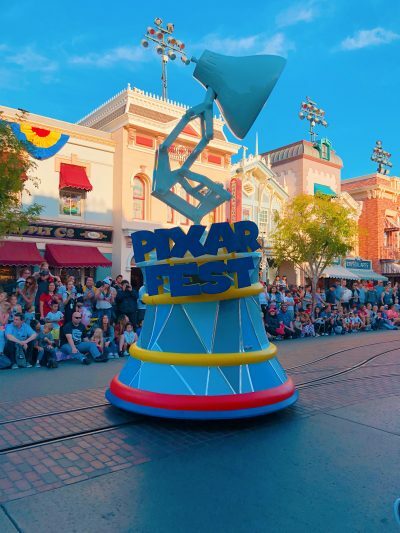 Pixar Fest ends on September 3rd! 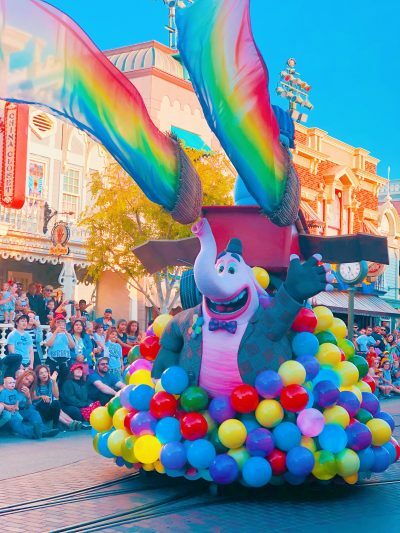 Pixar Play parade is BACK and this time it has invaded Disneyland on it’s journey! 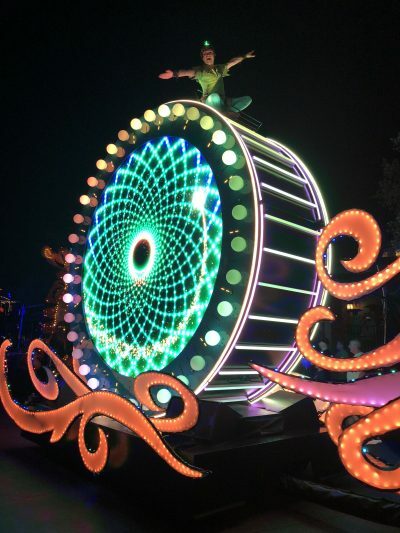 Now with NEW floats and water elements added to it, the Pixar Play parade is a high-energy spectacular that will have you dancing and singing the whole time. The Incredibles, Monsters, Inc., Toy Story, and Bugs Life floats are all back but are accompanied by the brand new Pixar Lamp and Ball, along with Inside out and UP floats. They are not to be missed! The best areas to view this parade is between Town Square on Main Street, U.S.A and the promenade near “It’s a Small World” in Fantasyland. Get there early to secure seats and remember that you WILL get wet! 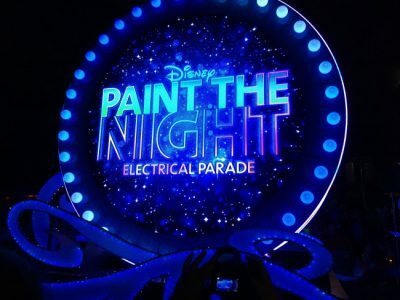 Paint the Night Parade has Returned! 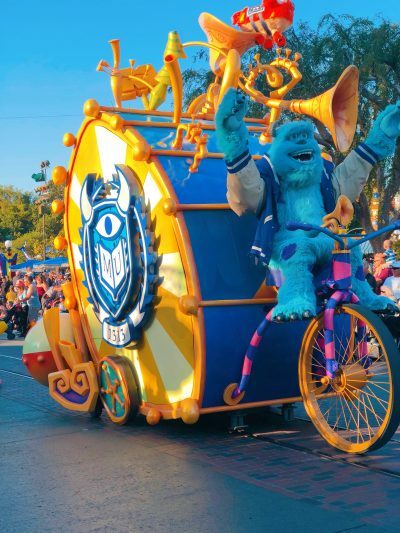 Originally here for the 60th birthday celebration for Disneyland, this parade gained an enormous amount of popularity and has been severely missed since it left. 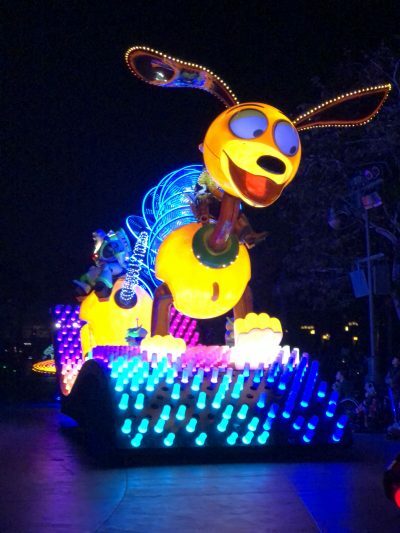 This is by far the brightest, biggest and most Pixar-powered parade that Disneyland has ever done and it is now taking place in California Adventure. Sorcerer Mickey is the star of the show and creates magic to all of these characters and floats. From Toy Story to Cars, this parade has all of the classic favorites from the original, BUT to make everything even better, in June the new Incredibles float made it’s debut! This came just in time to get excited for the June 15th release of Incredibles 2! So don’t forget to see this million light spectacular and get the best viewing down the performance corridor by the Pier. 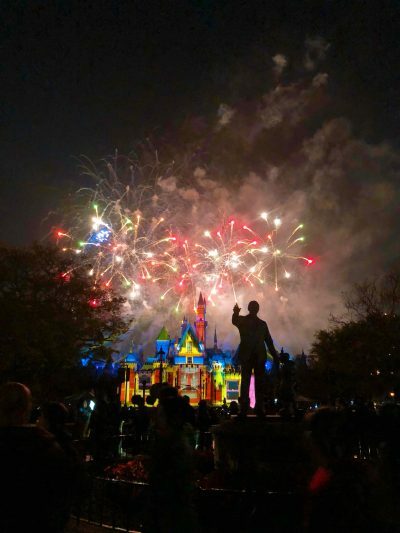 Each time Disneyland has a new event, they like to change up the fireworks show. They did not disappoint with the new “Together Forever- A Pixar Nighttime Spectacular” fireworks event! 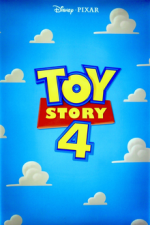 This show invites the viewer to join with friends for Disney-Pixar films on an emotional journey filled with dazzling projections, out-of-this world pyrotechnics and beautiful music from the movies! The best viewing area would be directly in front of the castle but that may take some patience to accomplish. Other notable areas are going to be by “It’s a Small World” and the “Rivers of America” as they will display the images from the castle as well. 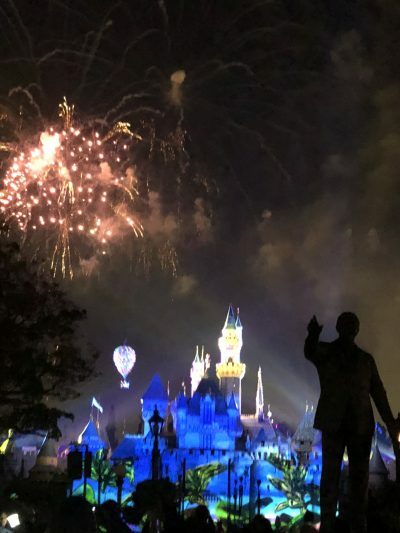 However, nothing beats seeing the “UP” house soar above Sleeping Beauty’s castle while the fireworks are bursting around it. It is truly a sight to see! 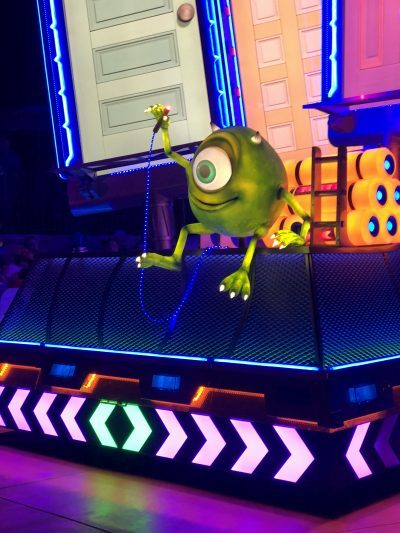 PIXAR DANCE AND MUSIC EVENTS. This event is fun for all ages! 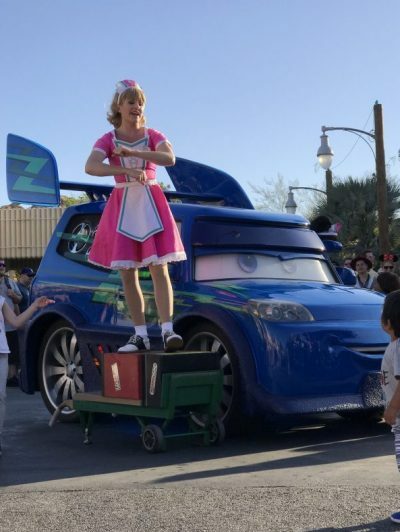 happening almost every hour, DJ from the “Cars” movie franchise will come out in the middle of CarsLand and put on a show! With the help from his dancing car hop friends, they will make anyone want to get their groove on. Find time for this event on the Disneyland App. This adorable show/dance party features the Green Army Men from Toy Story! Happening every hour at the entrance of the Pier in California Adventure, these characters show how much fun it is to be a toy! 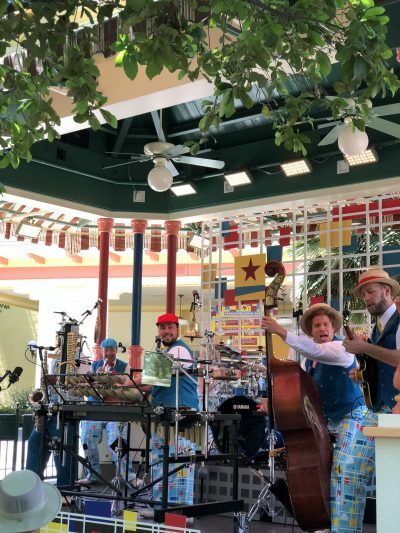 Over by the Paradise Garden Grill, is an incredibly entertaining orchestra that has transformed into a Pixar themed group! They play all of your favorites from the films that you love, all while making you laugh at the same time. They perform almost every hour and it is a perfect tribute to the Pixar Festival happening around them. Being an annual passholder to any Disney park has it’s perks. 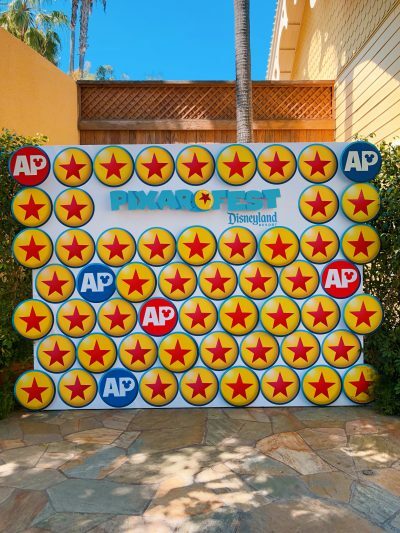 For Pixar Fest they have included a special corner that makes you feel like a celebrity if you happen to hold an annual pass. Complete with activities and a table with a private charging dock for your phones, this area is an adorable photo op! The backdrop is enough for any craze Pixar fan to want to get to. To add to the excitement, every two weeks the corner will be giving out a brand new Pixar Decal to each passholder with a different theme. Collect them all for added fun! Find this area over by Boardwalk Pizza & Pasta near the Pier. Follow the Signs and make sure you have your pass ready! MEET AND GREETS and PHOTO OPS. 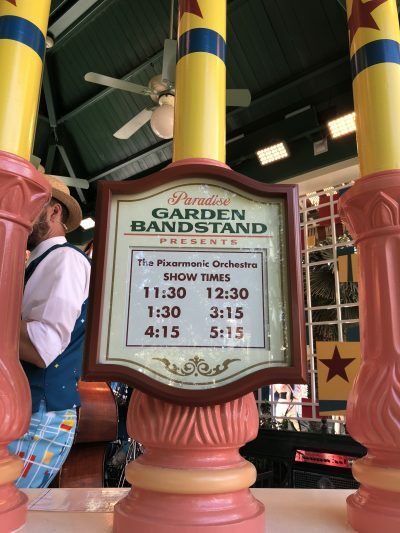 Pixar Pals at Paradise Gardens is a Meet and Greet Area near the AP corner….but is open for ANYONE to come and see their favorite character(s). This area is near the many Pixar themed backdrops and food places over at Paradise Gardens on the Pier. 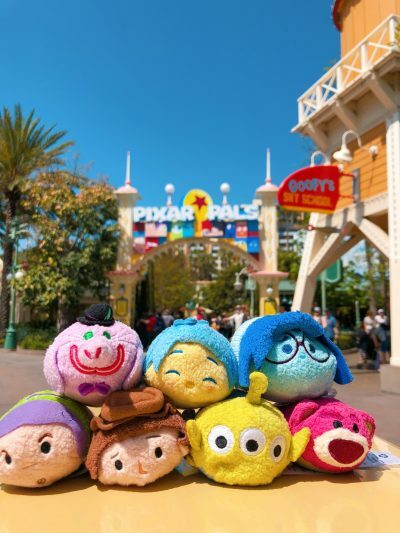 It’s a Joyful area where many of your Pixar friends will be hanging out ready to meet you. 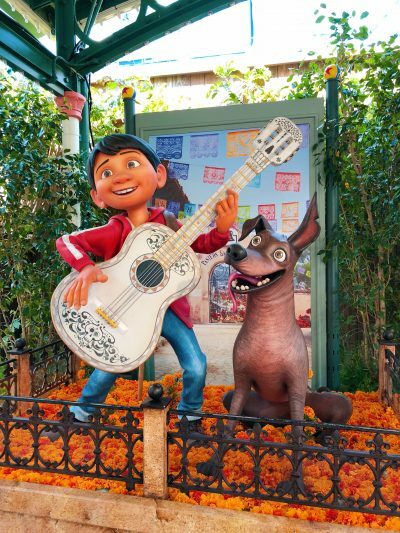 Take a photo next to the amazing Pixar Pals Marquee or around the World of Pixar Exhibit that highlights some of the best Pixar Films through Poster Art as well as a sculpted display of Hector, Miguel and Dante from Academy Award Winning adventure, Coco. 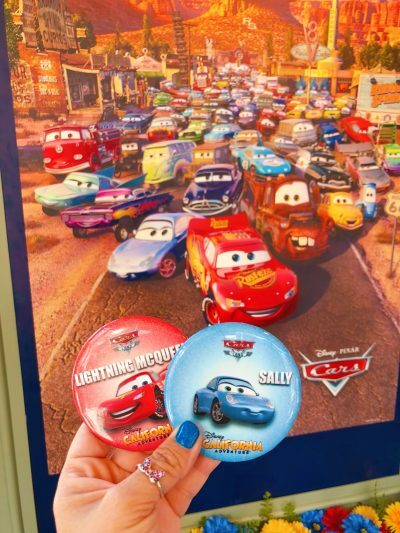 One of the BEST photo opportunities in the parks comes in Cars Land when you realize the entire area has been transformed to feature all of the PixCARS! 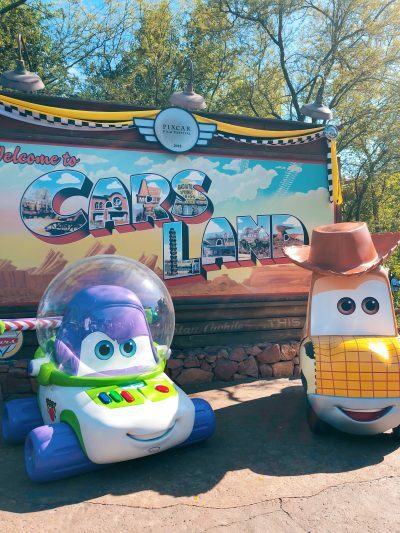 This adorable area will be a favorite for anyone who loves the world of Cars and all of their Pixar Favorites. 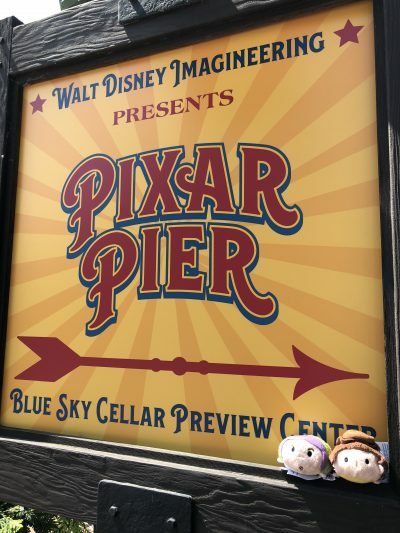 Walt Disney Imagineering Blue Sky Cellar presenting Pixar Pier. 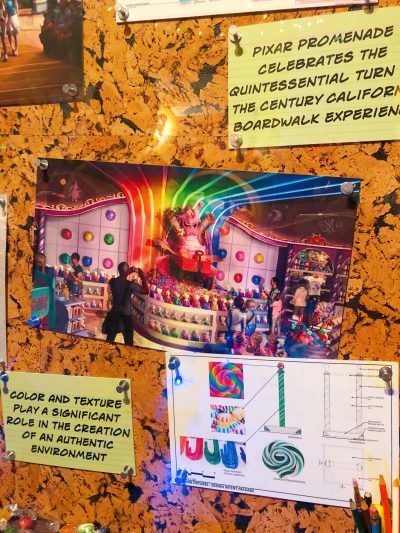 In the Blue Sky Cellar, you can get a look into how the Disney Imagineers came up with the Pixar Pier concept. Take a look at sketches, paintings and 3D models to better understand how the creative process works and what the inspiration was behind the design. 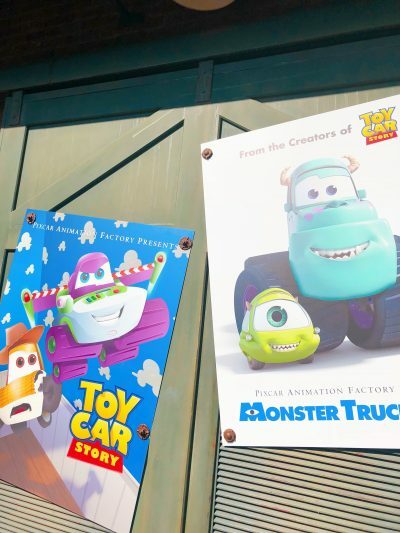 You will also learn a little more about the characters that live in the 4 themed “neighborhoods” of Pixar Pier. 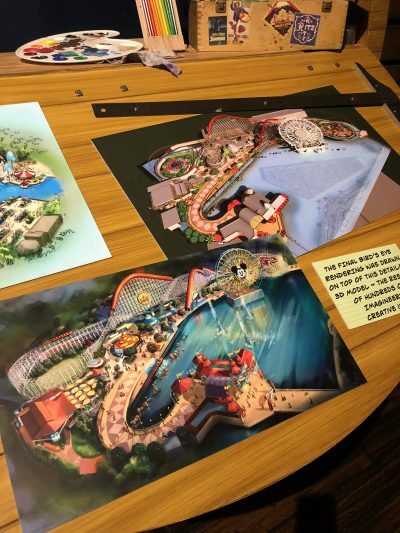 Find out more about Pixar Pier HERE. 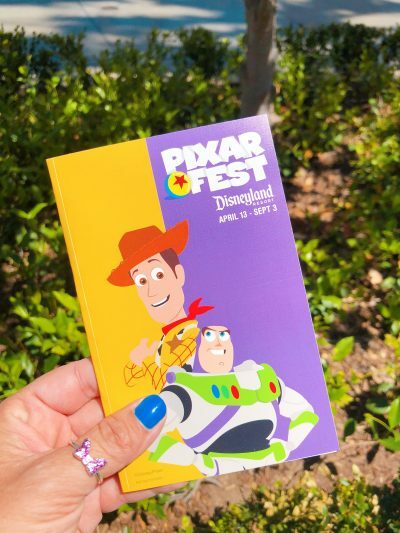 There is so much to see and do at Pixar Fest that it will have you begging for more days at the Happiest Place On Earth! 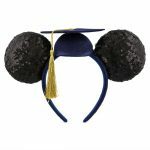 I only hope this list gets you excited and organized so you can hit every single element when you visit Disneyland Resort this Summer! If you’d like to see all the amazing merchandise click HERE. To find out more about the food during this limited time event, click HERE. 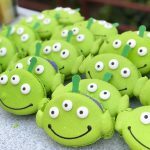 For a great PixarFest food list, click HERE.